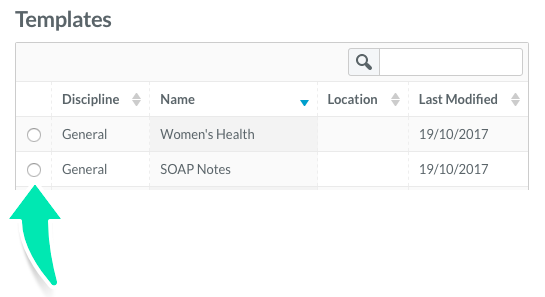 With Nookal, users can create Clinical Note Templates to write notes in a flash. Below explains how to create these Clinical Templates, so practitioners can start saving time today. 2. Click Create Template on the bottom right corner of your screen. There are a few default Templates in your account. To avoid starting from scratch, you can edit an existing Template or if you wish to keep the existing Template as is, you can duplicate the existing Template and edit the copy. 3. Give the Template a Title. 4. Select a Discipline for the Template. Being specific will make it easier to find the right Template faster when writing Clinical Notes. 5. Select the Locations for which this Template can be used. 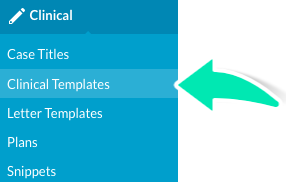 Make sure to click Save Changes each time updates are made to Clinical Templates, especially if you are not actively working on the Template. 1. Click Add Field or click on the label of an existing field for the field to expand. 3. 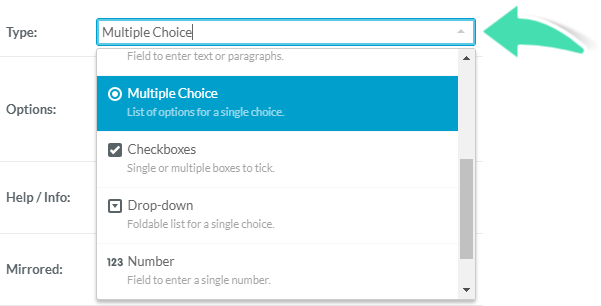 Select the field Type out of our various options. Click here for more explanations and setup details for each Type of field. 4. Add Help/Info details if relevant, this text will be under the field at the time of writing the note but will not be shown in the finalised note. 5. Tick the Mirrored option if two columns are required for this field. It is easy to reorganise the order of the fields on a Template by dragging and dropping the fields in the desired order. 1. Click on the blue arrow in the blue section and hold this selection. 2. Drag the field up or down. 3. Drop the field in the desired place. 4. Once all the fields are added and organised as desired, click Save Changes. Editing a Template will overwrite the existing Template. 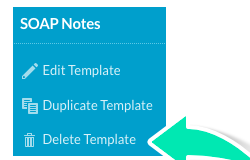 If you wish to create a new, slightly different Template, Duplicate a Template before editing one of them. Editing a Template will not affect Clinical Notes previoulsy written using the Template. 1. Select the Template in Practice > Clinical > Clinical Templates. 2. Click Edit Template on the right-hand side. 3. Edit the Template and click Save Changes once done. 2. Click Duplicate Template on the right-hand side. 3. Select the (copy) template. 5. Edit the Template and click Save Changes once done. 2. Click Delete Template on the right-hand side. Deleting a Template is irreversible. 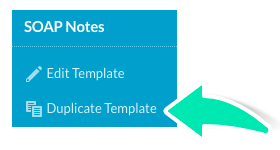 Deleting a Template will not affect Clinical Notes previously written with the specific Template. Copyright ©2019 Nookal Pty Ltd.
Made with love in sunny Queensland, Australia.